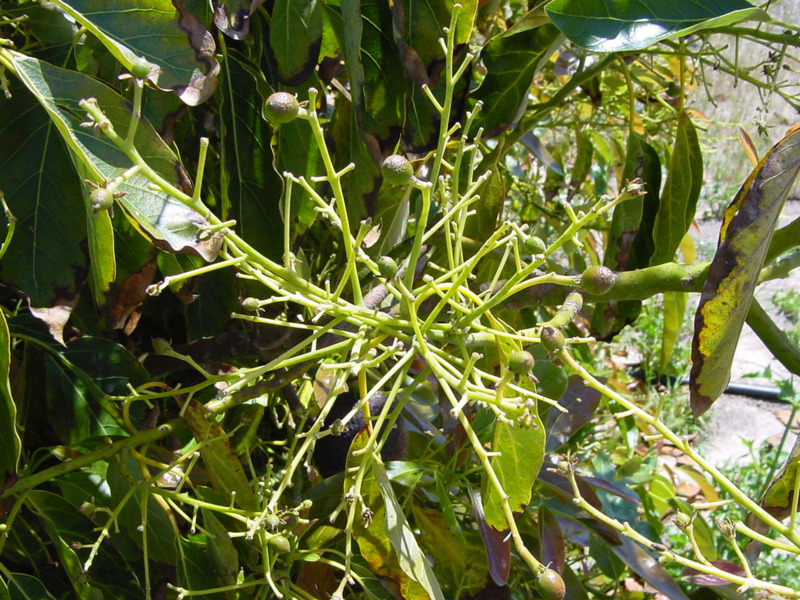 Avocados have an unusual flowering behaviour that is affected by temperature, particularly cold conditions which can impact on the level of fruit set. The following article explains the impact of temperature and the use of pollinisers and pollinators on fruit set of avocados in the South-West of Western Australia. A mature avocado tree may produce in excess of a million flowers during the flowering period, most of which fall without producing fruit. The purpose behind the mass flowering is to encourage visits by pollen vectors. In the wild this means a range of flying and crawling insects, but in Western Australia this is believed to be mainly the European honey bee. The avocado has a ‘complete’ flower, but with an unusual behaviour known as ‘protogynous dichogamy’. The avocado flower has both functional male and female organs in the one flower, but opens and closes twice over a two-day period — the first day as functionally female (Figure 1) and the next as functionally male (see Figure 2). Each opening stage only lasts about half a day. In general, on a single tree all the open flowers will be synchronised. That means they will be all functionally male or all functionally female. The avocado pollen of one tree is compatible with itself and quite capable of pollinating its own flowers — known as self-pollination. The unusual flowering behaviour is to reduce the likelihood of this occurring — by minimising the amount of own-pollen about when female stages are receptive. To further maximise the likelihood of cross-pollination some trees will open first in the morning as functionally female, close and then reopen the next afternoon as functionally male (type A flowering sequence). Other trees open first in the afternoon as functionally female, close and then reopen the next morning as functionally male (type B flowering sequence). The timing of these stages determines the classification of varieties into either type A or B flowering. See Table 1 for a diagram of the opening sequence of type A and B flowering varieties and how this sequence promotes cross-pollination. This is an evolutionary development to increase genetic diversity. It is important to understand that as a ‘clonally’ produced tree, a stand of a single variety such as Hass will flower essentially as a single tree. That is, all trees will display the same flowering type behaviour. Table 2 lists some of the common varieties and their flowering types. Cross-pollination for good fruit set?